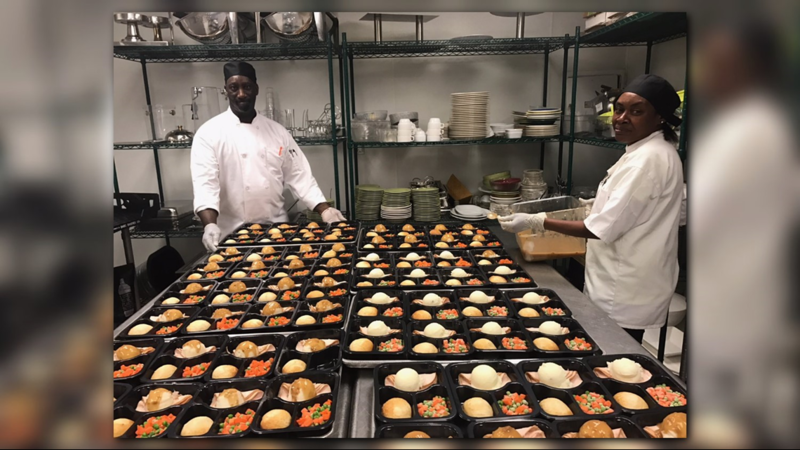 A culinary program in the Piedmont Triad is feeding the need to help the unemployed, homeless and former addicts. It offers training and jobs for people who want a fresh start in life. Winston-Salem, N.C. (WFMY) -- People from all walks of life have found the recipe for success. 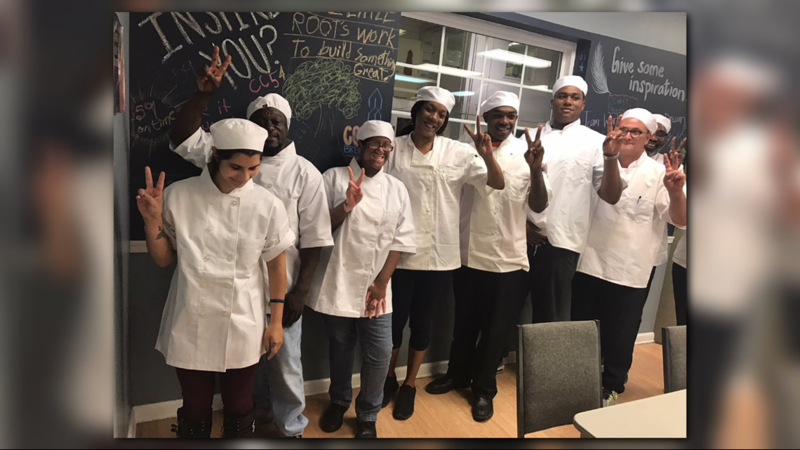 The homeless, unemployed, former drug addicts and people looking for a career change have turned to Providence Culinary Training and Providence Restaurant in Winston-Salem. At Providence Restaurant next to the Double Tree Hotel on University Parkway, each worker has a passion for cooking. "There's not one person in here that walks in here for just a paycheck. We're all in here because we love what we do," said employee Michael Lewis. Most of the employees have overcome overwhelming obstacles, such as 44-year-old Lewis. He's former gang member who spent 7 years in prison. He's also been homeless, but his job and the unique program that got him here have given him a new focus and drive. "Everyday I come to work is on purpose to be better than I was yesterday," explained Lewis. That unique program is Providence Culinary Training at the Second Harvest Food Bank in Winston-Salem. It's a 13-week hands-on program to train students the basic skills to get a job in the culinary field. Many know nothing about working in a kitchen. "I see tremendous growth, a lot come in nervous, still unsure. I see students with no knife skills whatsoever become chopping ninjas," said Janis Karathanas, the Director of Culinary Education at PCK. Some students want to embark on a new career. Others have a troubled past and want a second chance. One of the students is Dexter Young who is three years sober. "I was homeless, living in the streets, couldn't survive," said Young. But this is where students thrive. They learn basic culinary skills, as well as safety and production. 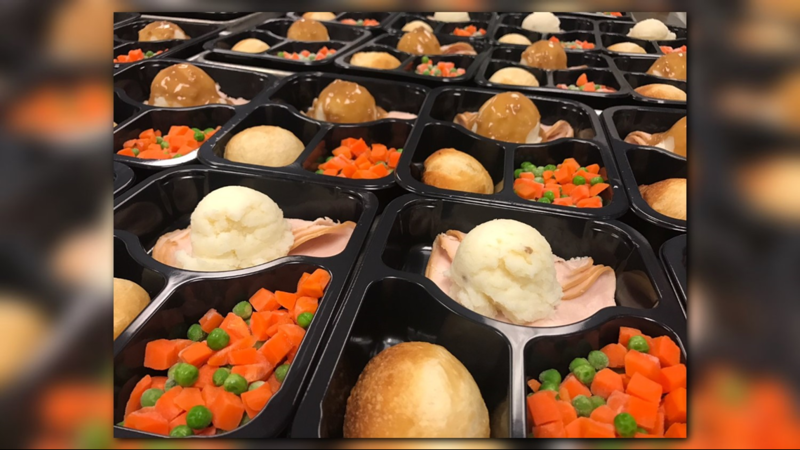 They also prepare meals to be given to local agencies. The entire program is run by Chef Jeff Bacon, who has also beaten the odds. He was a drug addict and homeless in his 20's. His success helps inspire and motivate students. "It's the most important tool I have," said Bacon. More than 650 students have graduated since the program started in 2006. 86% of them currently have jobs. Some of them have gone on to work at upscale restaurants, like Leo Johnson. He specializes in the vegetables grown and served at Spring House Restaurant Kitchen and Bar in Winston-Salem. He's been working at the award-winning restaurant since he graduated in 2015. He enrolled in the program at the age of 56 after bouncing around from job to job. "If you take time and go through the program, you can get good things out of it," said Johnson. Some graduates go on to work at Providence Restaurant where customers love the meaning behind the meals. "When they learn about the mission, it blows the top of their head off. You're feeding us this kind of food and there's a mission behind it. Wow, it's incredible," exclaims Bacon. Providence Restaurant is expanding. Providence Kitchen will open next month in the BB&T building in downtown Winston-Salem. The new restaurant will have the same program as the original: a paid residency program for graduates. For two years, the residents work alongside restaurant veterans to learn more advanced skills so they can land leadership positions in other kitchens. Michael Lewis is one of the residents. He's not ashamed of his troubled past. It motivates him to fulfill his dream of one day owning his own restaurant. "Being aware of the guy in the past helps me look forward to the guy I can be in the future," said Lewis. These grads now have the tools and ingredients to succeed.